To conclude “back to basics” month at Get Rich Slowly, today we're going to explore an important concept, one that's new to most people. Today, I want to talk about building a wealth snowball. After nearly twelve years of writing about money, I've gone from not knowing anything to having some very strong opinions. I now believe know, for instance, that the single most important thing you can do to improve your financial situation is also the most elementary: Increase the gap between your earning and spending. Spend less than you earn — that's the basic rule of personal finance. If you spend less than you earn, you'll build a wealth snowball that will allow you do do the things you dream of doing and to have the things you dream of having. What on earth is a wealth snowball? It's the ever-increasing stash of cash you have in your banking and brokerage accounts as you boost your saving rate and earn returns on your investments. Your wealth snowball is your nest egg, your net worth. To better explain the wealth snowball, it might help to first review the concept of the debt snowball. Let's say Jim is in $20,000 debt. The minimum payments on his debts come to $500 per month. Each month, he pays this $500 total toward his debts. When Jim repays his first debt, let's say one $100 minimum payment disappears. Now his minimum payments total $400 per month. With the debt snowball, however, Jim doesn't reduce his debt payments to $400. He keeps them at $500 per month, applying that extra $100 beyond the minimum payments to the debt of his choice. Now let's assume Jim pays off a second debt, eliminating one $120 minimum payment. Now his minimum payments total $280 per month. Again, Jim keeps his total debt payments at $500 per month, throwing an extra $220 per month at whichever debt he chooses. This pattern continues until all of Jim's debts have been repaid. He never drops his debt payments below $500 per month, even when his total minimum payments are far lower. With the debt snowball, the order in which Jim repays his debts is irrelevant. 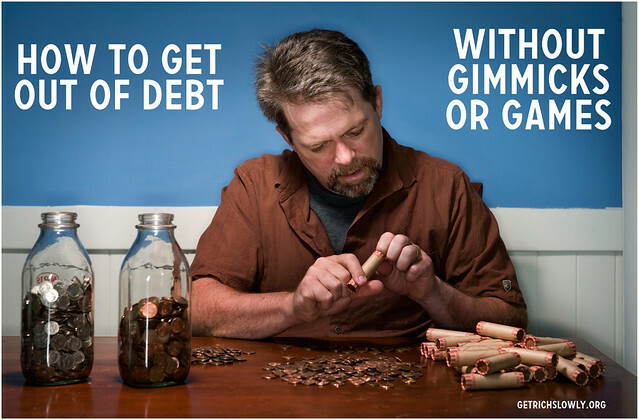 (With Dave Ramsey's version, you repay debts with low balances first. There are other ways to order the debts, though.) What matters is that as you eliminate each debt, you keep your total debt payments steady. Doing this creates an ever-accelerating snowball of debt reduction. To make the snowball even more powerful, Jim could add to his total monthly debt payments. Imagine he gets a $200 per month raise at work. Instead of spending that money, he could add it to his $500 debt payment to achieve a total of $700 per month in debt reduction. In this manner, his debt snowball can become an unstoppable force. But what happens once Jim is able to get out of debt? What happens when he no longer has debt payments and suddenly finds himself with an extra $500 in cash each month? For folks who take the view that debt reduction is a goal and not a side effect, there's a real danger that this money will now be used to fund consumerism — and that this consumerism will snowball too, leading them right back into debt. I've seen it happen. But debt reduction is an outcome and not a habit. As such, I think it makes a sub-optimal goal. Better instead to focus on the habit that leads to debt reduction. That habit is saving. That habit is creating a gap between your earning and spending. For Jim to be able to pay $500 toward his debt each month, he had to increase his earning and decrease his spending until he had enough cash to make the payments. It's this action — spending less than he earns — that should be Jim's goal, not debt reduction. Debt reduction is merely a side effect, an outcome, a result of implementing a smart action. If instead of focusing on debt elimination as a goal, Jim instead pursues the gap between his earning and spending, he puts himself in a terrific position to enjoy other positive side effects once his debt is gone. Perhaps the best of these side effects is the reverse of the debt snowball, the wealth snowball. Now let's imagine that Jim had never become focused on debt elimination as a goal. Let's imagine that he always viewed it as a side effect, and that he (rightly) kept his attention on his saving rate. Jim opens a retirement account. Because he reads Get Rich Slowly, he knows how to invest. He takes the $500 per month he had been using to repay debt, and now he puts that money into an index fund at Vanguard (or Fidelity). Whenever Jim has a chance to work overtime, he works overtime. He doesn't spend that money, but puts it toward his new wealth snowball. Same thing whenever he gets a raise: He invests that money for future growth. Jim looks for ways to economize, large and small. He bikes to work during the summer. The money he saves, he invests. He and his wife move to a smaller home, one with a smaller mortgage. He invests the difference between the old payment and the new payment. Jim does what he can to increase the gap between his earning and saving, because he's come to understand that his saving rate is the key to building an enormous wealth snowball. If he can invest $1000 per month, his wealth snowball grows twice as quickly as if he were to invest $500 per month. Because I'm lazy and don't want to make a new graph, I'm going to re-use the same graph I used in yesterday's article about how to invest. Although the numbers are different than the ones I've been using for Jim, the idea is the same. 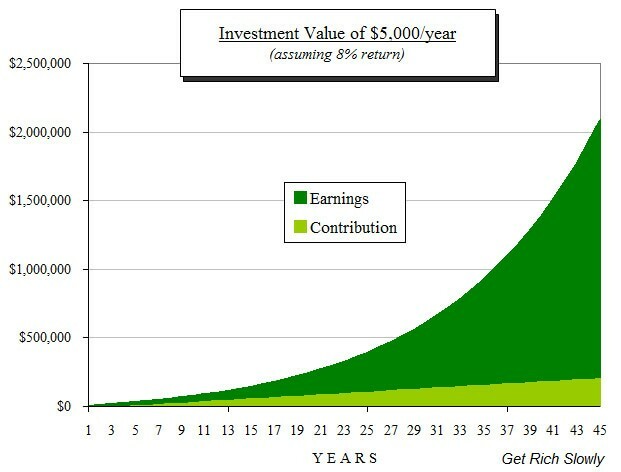 Let's assume Jim's wife Jane invests $5000 per year for 45 years and earns an 8% return on her investments. Here's how her wealth snowball would grow with time. Pretty amazing, huh? Jane contributes $5000 per year for 45 years. That's a total of $225,000. In the end, her investments are worth ten times what she contributed! That's the wealth snowball in action. This concept is what Mr. Money Mustache has famously referred to as the shockingly simple math behind early retirement. Look at these numbers. With a 10% saving rate, you need to work for 50 years to save enough to afford to retire. Your wealth snowball grows — but not quickly. With a 20% saving rate, you need to work for 37 years before you'll have saved enough to retire. With a 35% saving rate, you need to work for 25 years to achieve Financial Independence. With a 50% saving rate, you only need to work for 17 years before you can retire. And if you can manage to save 70% of your income, you could retire in 8-1/2 years! 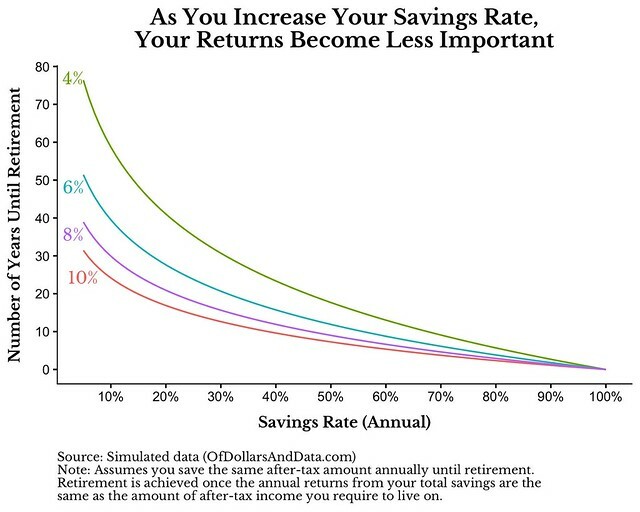 The “shockingly simple math” is true even if you have zero desire to retire early. Whatever your goals are, the more you're able to save, the quicker you can achieve them. This isn't magic. It's not a scam. It's math. It's the wealth snowball in action. The sooner you grow your wealth snowball — and the bigger you grow it — the sooner you can do the things you dream of doing. If you only save 10% of your income, then the growth of your wealth snowball is largely at the mercy of market returns. If the stock market has several good years in a row, your wealth snowball embiggens. 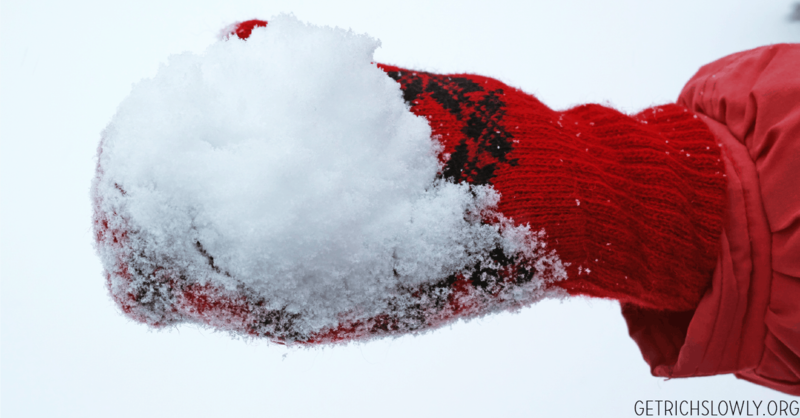 If it has several bad years in a row, your wealth snowball remains roughly the same size. But if you save half your income, for instance, market forces have a minimal impact on how quickly your wealth snowball grows, how quickly you can achieve your financial goals. Sure, there's an impact, but because you're saving half your income, that impact is much smaller than it is for your friends who are saving less. My not-so-secret wish is that every reader of Get Rich Slowly would make it their personal mission to increase their saving rate, to widen the gap between their earning and spending so that they could build ginormous wealth snowballs that allow them to pursue their purpose. For readers who already save, my dream is that you would save even more. For readers who are in debt, start where you are. Rearrange your life to achieve a positive cash flow, then use that positive cash flow to build a debt snowball. When you've used that debt snowball to crush your debt, do not stop. Keep that snowball rolling, but now use it to build wealth. The journey may seem difficult now. I get it. But I believe in you. You can do it. Wherever you are, whoever you are, you too can build a wealth snowball if you try. This spreadsheet allows you to choose different debt reduction strategies, including the debt snowball effect (paying the lowest balance first) and highest interest first. Just choose the strategy from a dropdown box after you enter your creditor information into the worksheet. A debt reduction calculator, which allows you to list your debts, their balances, interest rates, and monthly payments. A payment schedule telling you which bills to pay when. The brilliant thing about this spreadsheet — other than the fact it does all the math for you — is that it allows you to choose from a variety of snowball methods. You can use the Dave Ramsey-esque “low balance first” debt snowball, the mathematically superior “high interest first” method, opt for no snowball at all, or — and this is the best part — enter your own payoff order. Got a loan from your brother-in-law that drives you nuts? Prioritize it and this spreadsheet will make sure it's finished first. 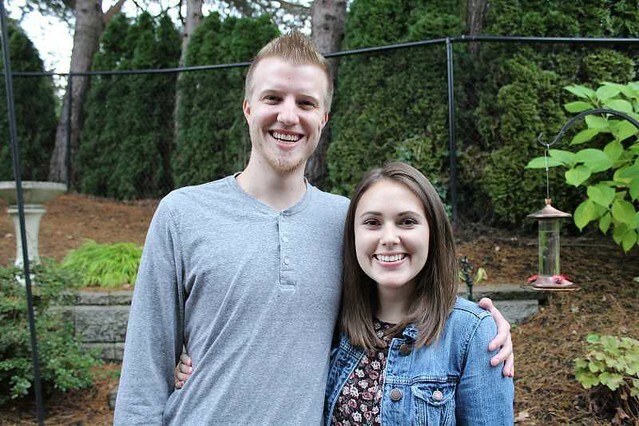 During my twenties, I accumulated nearly $25,000 in consumer debt. I had a spending problem. With time, I was able to get my spending under control (mostly), but I still owned overwhelming debt. How could I get rid of it? Order your debts from highest interest rate to lowest interest rate. Pay the minimum payment on all debts except the one with the highest interest rate. Throw every other penny at the debt with the highest interest rate. When that debt is gone, do not alter the monthly amount used to pay debts, but throw all you can at the debt with the next-highest interest rate. This made perfect sense. By doing this, I would be paying the minimum amount in interest over the long term. The trouble was, my highest-interest rate debt was also my debt with the biggest balance (a fully-maxed $12,000 credit card at 19.8% interest). I'd plug away at this debt for several months at a time, but then give up because it felt like I was never getting anywhere. This happened over and over. I'd start and fail. Start and fail. Then I read about the Debt Snowball method in Dave Ramsey's The Total Money Makeover. 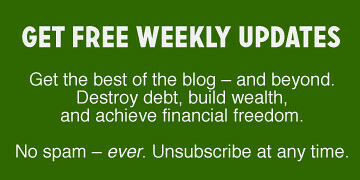 When I read about the Debt Snowball method, I was skeptical. I knew it would cost me more in the long run, at least on paper. But I figured I had nothing to lose. I tried it. In four months I'd paid off most of my debts. I was shocked. I'd been trying and failing for years, and now I was able to make a huge dent in just months? It was all because I had changed my approach just slightly. Humans are complex psychological creatures. They're not adding machines. Many of us know what we ought to do but find it difficult to actually make the best choices. If we were adding machines, we wouldn't accumulate $20,000 in consumer debt in the first place! It's misguided to tell somebody so deep in debt that they must follow the repayment plan that minimizes interest payments. The important thing to do is to set up a system of positive reinforcement, and that's exactly what the Debt Snowball method does. Which method should you choose? Do what works for you. The first method can save you money in the long-run. But if you've tried it and failed, give the Debt Snowball method a shot. It might be the answer you're searching for! Nearly every financial adviser — from accountants to brokers to books — advises that debts should be paid off in a particular order: from highest interest rate to lowest interest rate. While this method makes sense from a mathematical point of view, it makes less sense from a psychological point of view. This payoff plan does, indeed, make the most financial sense if you have the discipline to adhere to it. By paying off the high-interest rate debt first, you're minimizing the total you will eventually pay in interest. But this method does not work for everyone. I struggled with debt for a decade. I made several abortive attempts to eliminate my debt using the highest-to-lowest method, and each time I failed. Why? Because my highest interest rate debt was also my debt with the highest balance. Psychologically, I felt defeated; I could pay on this debt for months at a time and never seem like I was making progress. After you've listed your debts from smallest to largest, pay the minimum amount on all of them except the smallest. Throw every dollar you can scrimp and save against your smallest debt until it has been eliminated, then move on to the next-smallest debt. Ramsey advocates this method because of the subtle psychological reinforcement it provides. It's “behavior modification over math”, he claims. And he's right. The most important thing in paying off your debts is to pay off your debts; the order in which you do so is ultimately irrelevant. The Debt Snowball method has vocal detractors who complain that the math doesn't make sense. And it's true that if you use this method, you will pay more in the long-run than if you had the discipline to pay off your debts from highest interest rate to lowest interest rate. But, again, what's important is to just get the debts paid off. Know yourself. Choose the method that makes the most sense for you and for your situation.